By 2025, millennials—individuals born between 1980 and 1995, will make up 75% of the U.S. and Canadian workforces1. As thousands of millennials graduate this spring, the fortunate ones will be coming to a workplace near you. 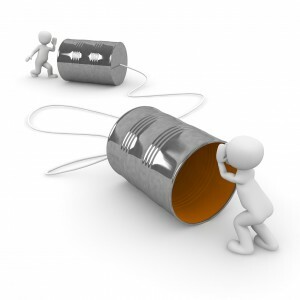 Here are four secrets that will help you communicate with them successfully. They communicate needs when you ask. Whereas older generations tend to not ask for something unless they really need it, millennials will gladly tell you what they need—if you ask. They strongly believe that their needs are important so don’t hesitate to ask if they need more time to finish a project or some help completing a task. By applying Dale Carnegie’s 17th Human Relations principle, ‘Try honestly to see things from the other person’s perspective,’ you’ll not only understand what they require to be successful, but foster respect and trust in the relationship. Their career aspirations are high. Most millennials are looking for upward movement sooner rather than later. To gauge their career aspirations and aptitude, it’s critical that managers communicate with them frequently and appeal to their career goals. Dale Carnegie’s 3rd principle, ‘Arouse in the other person an eager want,’ underscores the importance of compelling millennial employees to not only thrive in their current roles, but to mentor them so that they can grow within the organization. Evaluate their performance on a regular basis in order to uncover if they are restless in their roles and therefore maximize retention. They value constructive criticism. A few years ago, TIME magazine published a cover story called “The Me Me Me Generation—Millennials are lazy, entitled narcissists who still live at home with their parents.” Truth be told, they value feedback and tend to thrive on a quick chat with a manager or CEO because they believe it will improve both individual and business performance. In fact, if they don’t receive constructive criticism, they will probably lose interest and become disengaged. Dale Carnegie’s 13th principle, ‘Begin in a friendly way,’ is a good reminder to start a pleasant conversation, but be sure to modify your approach to that of a millennial by being direct and collaborative. They struggle to overcome setbacks. Agility, or the ability to overcome, is one skill many millennials lack according to a recent Forbes article. Beth Perkins, Talent Acquisition Manger at Delphic Digital, commented that millennials often “expect things to go their way” and, if they don’t, “move on rather than sticking it out and finding a solution.” When this sense of entitlement is coupled with the fact that millennials have a less than average feeling of being energized by going to work compared to older generations, retention levels plummet as a result. To encourage agility and resilience, it’s critical to model goal-oriented and resourceful behavior. Touch base with them regularly to identify any areas where they may be stumped, and discuss the viability of options B and C should A not work.